There used to be a time when playing cards had a less-than-good reputation, and people who played any of them, including the rummy card game, were considered to be unproductive. Thankfully, society has come a long way since then and the credit goes to the availability of information and the dawn of good sense. Not all card games are the same, it is true that some of them are largely dependent on luck and can be viewed as risky but other card games are skill based and require skill and dexterity. The rummy game was included in the latter category by the Supreme Court of India, in 1968. Since then, with speedy technological innovations, we have seen the rise of platforms where people can play card games online for free. Among all of them, the rummy game can be considered one of the best online card games, because it has risen so swiftly in popularity. 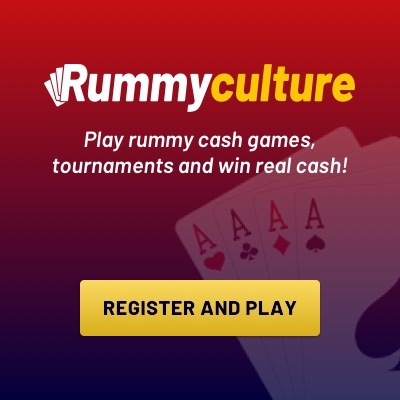 Players from every corner of the country have registered on RummyCulture and are an active network, participating in rummy gameplay around the clock. In their testimonials, players have reported that playing online rummy has benefited them in many ways and we will be discussing some of these here. The rummy game is such that it has many positive effects on a player’s life, take a look at the benefits. In real life, just as in a rummy game, it’s essential to have a clear plan of action. In Indian Rummy, players are dealt cards, and every player has to decide whether they stand a chance to win. This is something that a player can do only when they have enough number of games under their belt. Sometimes, choosing to step back from the game is better than not having a favourable hand. Taking such a call or electing to continue to play can be done once you are a seasoned player. Over time, making these decisions in a rummy game will prepare you for handling various scenarios in life as well where you can calculate the odds better. When you play a rummy game, if you have sound mathematical abilities, you will be at an advantage. During the game, it’s essential to be constantly aware of every point gained or lost because every point has a monetary value attached to it. This exercise is a good practice in the calculation of probability and will make you more astute in your real life decisions too. On RummyCulture, you are playing a rummy game for real cash. While playing, you are required to make good decisions in order to win. Apart from this, every player must be able to calculate the level of risk at which the game is functioning to be able to play it in their favour. This practice translates into real life for better-informed investment decisions and superior financial management abilities. Most players find that a game of rummy is a great way to blow off some steam. If you access the rummy game from our RummyCulture app, then you already know that the game is an escape from mundane life. It’s no secret that people who are not stressed are the most productive. Also, one round of a rummy game can put a smile on your face at the end of a bad day, and the feeling of winning instils motivation. As you’ve seen, there are many positive ways in which the rummy game impacts your life. Join RummyCulture today so that you too can play one of the best card games online and win real cash. Download our rummy app on your mobile and start playing now!